Celebrating Over 20 Years of Service to Our Communities! Families looking to introduce their children to playing and learning can now take advantage of a free weekly preschool program being offered in Steinbach. According to Jo-Anne Dalton, Executive Director of the Steinbach Family Resource Centre, the Preschool Learn & Play is now being offered as a weekly ongoing program “due to popular demand.” The Preschool Learn and Play program is being offered to children ages 3-5 with a parent or caregiver every Wednesday morning. Childcare is provided for siblings. The program is designed to provide a warm, playful atmosphere for parent and children to work on fun activities together. All the activities are planned to encourage children’s development in the areas of large and fun motor skills, sensory skills, literacy and numeracy skills and social activities, explained Dalton. “The benefits of this program is to give parents a front-row seat to their child’s learning, seeing their strengths and weaknesses, sharing in their natural enthusiasm for learning and being better able to help them at home with added activities in the areas they are weak,” she added. Participating in the program is expected to also better prepare children for kindergarten. During the sessions, children will develop social skills, hand skills and be exposed to letters, sounds, numbers, shapes and counting. The Steinbach Family Resource Centre is located at 101 North Front Drive, in Steinbach. Volunteer Manitoba, to honour the efforts and dedication of outstanding volunteers in Manitoba; and recognize and encourage the valuable services performed by volunteers throughout the province. St. Malo Quilters are being recognized for their efforts in providing Alzheimer Touch Quilts to persons living in long term care facilities. The project began in 2010 with a special focus on those who have dementia. The quilts provide sensory stimulation that can increase happiness, enjoyment and relaxation. The 36th Annual Volunteer Awards is taking place at the Club Regent Events Centre. Tickets are available at volunteermanitoba.ca/ awards.php. Fire crews on sight trying to put out a large barn fire near La Broquerie which ended up destroying four buildings and claiming nine calves. and RM of Ste. Anne Fire Departments to finally knock down the fire. The fire commissioner determined that the fire was caused by the failure of an auger motor on the corn feed crusher. Damages are estimated at $2.5 million. tions, and has already requested a meeting with the province to discuss the matter further. “I want to assure you that as Council gets answers and processes the implications of this announcement, that I will do my best to provide information.” “Our community, like many others in the Province, contains various opinions and views related to cannabis legalization that took place last fall in Canada,” Dyck continued. “We are one community, made up of diverse people, with diverse cultural and faith backgrounds. Diversity is good, division is not. Together we will work through this decision respectfully and graciously. This is a time where much wisdom is needed for all involved.” The Manitoba government has been working with local governments to ensure they have ‘fair say’ and are on board with the proposed retail locations. While municipalities control where cannabis stores are located in their communities, the province plays a supportive role to answer questions and outline options available, including reviewing how close the stores may be to schools, houses of worship and community centres, at the municipality’s request. In 2009, the community of St. Adolphe was an island amid a sea of floodwater. This year, levels are predicted to be slightly below 2009 levels depending on weather. Flood Prevention Tips Localized flooding is a top concern for residents who are likely wondering, what’s next and what can I do? Water damage, mould and property loss are only some of the devastating outcomes when property owners are unprepared, or unsure of how to deal with the after-effects of a flood. Here are several ways to protect properties against flood damage, whether commercial or residential. 1. Waterproof your basement, fill cracks, and put weather protection sealant around windows and the base of ground-level doors. Install flood shields or barriers. 2. Clear debris from roof and eaves troughs. Downspouts should extend at least six feet from the basement wall, well away from your and neighbouring properties. 3. Clear snow from roof. 4. Raise large appliances in the basement onto wood or cement blocks. If possible, raise electrical panels, switches, sockets, wiring and heating systems, otherwise protect them with a floodwall or shield. 5. Anchor furnaces, water heaters, and/or oil tanks to the floor. 6. Check that all basement flood drains are not blocked or covered; and install a water alarm. 7. Test sump pump is working and install a battery-operated backup. 8. Install backflow valves for drains, toilets and other sewer connections in the basement. 9. Turn off the electricity in flood-prone areas of the property. 10. Talk to your insurance agent about flood insurance. 11. Stay informed. Follow the latest public weather alerts for your area. Take the time to double check your insurance policy. Standard residential insurance may not cover floods caused by overland flooding, but may be available separately. For business owners, flood insurance could be available as add-on coverage to commercial property or to business interruption insurance policies. Commercial sewer backup coverage may also available but this usually needs to be purchased separately. pickup truck was being driven by the friend’s 49-year old father. They were in the process of exercising a dog, with it running alongside the truck, when the driver accelerated and the 17-year old victim fell out of the back of the truck, suffering head injuries. The victim was flown to Winnipeg via STARS in critical condition and has since improved to stable and injuries are now considered non-life threatening. Alcohol is not considered a factor. are built at 1997 flood plus two feet (61 centimetres) levels. These dykes will be closed as needed. Manitoba Infrastructure is undertaking procurement related to flood preparation, response and recovery through transparent, competitive processes to ensure value for money. There are a number of open tenders for the purchase of sand bags, aggregate material, equipment and support for community dike closures if necessary, and engineering services for flood response advice. Contractors able to meet the demand are encouraged to visit the provincial website. Measures are in place to ensure that nothing will be purchased until required. The Battles for Progressive Change and Innovation Will Win Last month’s story still has legs. It has been hard for the average taxpayer to dig the story as the news media and opposition had no other interest but to make it sound like a cross between doomsday and the apocalypse. Now we find out that SNC-Lavalin was using threats as a negotiation tactic. The fact that the Attorney General wears two hats and is just one person should not be. This is a situation where both jobs can be at times diametrically opposed to the question at hand. Prosecutor in chief and law crafter in chief has the potential to and can create a kerfuffle as what we have witnessed ad nauseam. The Opposition has been adamant that the Government was posing undo pressure on one of its own and were calling for an RCMP investigation. Good grief, take a pill, you politicians for crying out loud. If you are not under pressure or prepared to be under pressure you’re not doing the job. So what’s next, Carbon Tax, this month we are going to start the Oppositions attack on the carbon tax. So far no opposition Provincial or Federal has proposed anything of consequence except to say it will kill jobs and our grandchildren will have to mortgage everything to pay for this Liberal error. But, the first and most important thing for our grand children will be sustainability in every which way. Sticking your head in the sand will not be much help; the beach could be under water before you know it. Not that long ago, old age security, CPP, and health care came into the fabric of Canadian society. This according to the Conservatives was going to bankrupt us all. I was one of those grandkids that the then Conservatives was trying to save us from those Progressive hordes. I am surprised you Saviours don’t appear to read history, or learn from it. These are past changes. If you were to turn your back on them they would be relegated to oblivion. History has shown us that you accept change once somebody has shown the way. You would think that after more than two centuries you have learned the concept of following well enough to now try leading. Whether we agree or disagree, conservative fear or reticence to change will sooner or later lose the battles to progressive change and innovation. My grand kids and great grand kids are counting on it. SNC Lavalin Scandal Continues to Grow It’s been quite a month in Ottawa. And as the Trudeau Liberals unveiled their final budget before this fall’s federal election, the SNC Lavalin scandal remained front and centre. The Liberals tried to use this budget to turn the page on what has been a very difficult time for them. Prime Minister Justin Trudeau, Finance Minister Bill Morneau, Clerk of the Privy Council Michael Wernick and members of their staff stand accused of improperly pressuring former Justice Minister Jody Wilson-Raybould to intervene in an ongoing criminal prosecution. When she refused to give in to their pressure and engage in political interference she was fired. Since news of this scandal broke in the Globe & Mail, four high profile government officials have resigned. Jody Wilson-Raybould resigned from Cabinet, as did Treasury Board President Jane Philpott. Trudeau’s chief advisor Gerald Butts and Privy Council Clerk Michael Wernick have also been forced to resign. Another Liberal, MP Celina Caesar-Chavannes, quit the Liberal Caucus and has chosen to sit as an independent over what she characterized as Justin Trudeau’s hostile behaviour towards her and other women in the Caucus. And through it all Justin Trudeau continues to claim that nothing happened. Our Conservative Caucus has been working hard to hold Justin Trudeau to account, but under our Parliamentary system there are only so many tools available to us. One of the main avenues of getting to the truth was the Justice Committee investigation. On the morning the budget was set to be released, the Liberals on the committee suddenly shut down that investigation. To be clear, by doing so, the Prime Minister is politically interfering in an investigation into his own political interference. Our Conservative Caucus forced the Liberals into 30 hours of marathon voting, to protest their shutdown of the Justice Committee investigation. A lot happened during those 30 hours. First, we heard the news about former Cabinet Minister Jane Philpott’s interview in Maclean’s magazine. In this bombshell interview, Mrs. Philpott told Canadians there was much more of this story yet to be told. She also stated that the scope of what took place goes well beyond what the Ethic’s Commissioner’s investigation will be able to uncover. Then, Jody Wilson-Raybould wrote to the Justice Committee offering further evidence (texts, emails and written testimony) to rebut the testimony presented by Michael Wernick and Gerald Butts. This new evidence will hopefully force the Liberals on the committee to re-open the investigation. Justin Trudeau has only himself to blame for his political woes. His refusal to accept responsibility, or even answer simple questions truthfully, has all but ensured that this story isn’t going away anytime soon. Canada’s Conservatives will not allow Justin Trudeau and the Liberals to undermine our democratic institutions and get away with it. We will continue to hold them to account as we offer Canadians a positive and principled alternative. For more information on this or any issue please feel free to contact my office toll free at 1-866-333-1933 or at 204-326-9889. Visit me on Facebook at: Facebook.com/TedFalkMP. You may also write my office at 76 PTH 12N, Steinbach MB, R5G 1T4 or visit my website at TedFalk.ca. Keeping our Pledge to Manitobans March was an exciting month at the Manitoba legislature, as our Progressive Conservative government was busy keeping the promises we made when we were elected three years ago. Budget 2019, which we introduced on March 7, contains great news for Manitobans. We are delivering on our promise to lower the provincial sales tax (PST) from eight per cent to seven per cent, bringing more affordability with the third-lowest PST rate in Canada. The PST reduction will be the largest tax cut in our province’s history, putting more than $300 million annually back on the kitchen tables of people across Manitoba. The tax decrease also delivers for Manitoba businesses, which will save more than $130 million a year. Up to half of the PST savings to businesses will be passed on to Manitoba families. Through the PST cut, the average family of four will save about $500 a year and $3,000 by 2024. In addition, government agencies such as health authorities, school divisions and post-secondary institutions will save an estimated $16 million per year. Local governments and school divisions will find it easier to avoid raising taxes. Our reduction of the PST will take effect on July 1; six years to the day after the previous NDP government raised it. In 2011, the NDP campaigned on a pledge not to raise the PST and to allow Manitobans to vote on major tax increases - and two years later, they broke both of those promises. We have kept another pledge, as well. When our government was elected in 2016, Manitoba’s ambulance fee was the highest in Canada at $522. With Budget 2019, we have kept our promise to reduce the ambulance fee to a maximum of $250, less than half of what it was under the NDP. The PST and ambulance fee cuts aren’t the only ways we are giving Manitobans a break. Since 2016, our indexing of the basic personal exemption amount has removed nearly 8,000 lower-income Manitobans from the income tax rolls. At the same time, we have raised Manitoba’s expenditure for health care to it’s highest-ever mark of $6.65 billion and have boosted funding for education and families to record levels. After years of the NDP’s over-taxation and broken promises, our government is keeping its promises. We are fixing the province’s finances while giving Manitobans a break and leaving more money where it belongs with them. As always, I look forward to hearing from you with your questions or concerns. I can be reached at my constituency office at 204-424-5406, at my legislature office at 204-945-4339 or at dennis.smook@leg.gov.mb.ca. St. Adolphe Daycare Approved Despite Opposition The RM of Ritchot council has approved a $1 million borrowing bylaw to renovate an existing building to help create daycare spaces in the community. The project includes the renovation of 372 Main Street, formerly known as the local car dealership. The new daycare is expected to open up 113 licensed daycare spaces to the community. At the end of the day, Ritchot council voted in favor borrowing $1 million, over a twenty-year period, towards the project. The $1.7 million project, which includes the renovation of the former dealership located along St. Adolphe’s Main Street, is expected to be funded by a $560,000 provincial grant, $140,000 Hydro CGI Grant, and the borrowing bylaw. The daycare will pay back the loan to the municipality in the form of rent. Now that council has passed third reading, the project can finally move to the next step. Initially the daycare was supposed to be constructed as part of a plan by Heritage Holdings to build a new centre on the site of the former St. Proposed floor plan for the new daycare in what used to be a local car dealership on Main Street St. Adolphe. land has since been sold for development. To help raise funds for the new facility, the St. Adolphe Childcare Centre board is currently fundraising. Every Wednesday, Chase the Ace takes place at the St. Adolphe Motor Inn to raise funds for the new daycare. according to their capacities. Both French and English speaking children will have the ability to communicate and converse in French, as well as basic school fundamentals such as recognizing their names, writing and counting. “We encourage them to do the following on their own, dress, eat, tidy their toys, their personal belongings,” said Dubé. Located in the centre of Lorette, the daycare is expected to fill up quickly. Newly designed and full of natural light, the facility also has a fenced, private outdoor play area. In Lorette, Garderie Les Petits Genies Inc. is looking to fill this vibrant space with children now that they have opened a bilingual daycare centre. Steinbach Man Arrested in Fatal Hit and Run In the middle of March, Winnipeg police arrested a Steinbach man in connection to an accident last summer, where he allegedly fled the scene of a fatal crash involving a motorcyclist. The crash occurred on June 2, 2018 when a motorcycle traveling westbound on Portage Avenue collided with a van travelling north on Home Street. The motorcyclist was transported to hospital in critical condition and later succumbed to his injuries. The driver of the van and a passenger both fled the area on foot. On March 23, police arrested the 44-year-old Steinbach driver of the van. Charges are pending, including failing to stop at the scene of an accident involving death, driving while disqualified, driving without a licence and driving while suspended. The man’s name is not being released as the charges have not been formally laid. He was released on a promise to appear. Kleefeld Musician Recognized by Governor General On March 26, Kleefeld native musician Robb Nash was among forty outstanding Canadians recently recognized in a special ceremony at Rideau Hall, in Ottawa. Nash was among recipients recognized for their excellence, courage or exceptional dedication to service with either a Meritorious Service Decoration (Civil Division), a Decoration for Bravery or the Sovereign’s Medal for Volunteers. At the ceremony, Nash was presented with the Meritorious Service Cross (Civil Division) for his work with youth. The Meritorious Service Decorations celebrates Canadians who have performed an exceptional deed or activity that brings honour to Canada. The decorations are separated into military and civil divisions, with two levels each, a cross and a medal. The Civil Division recognizes remarkable contributions in many different fields of endeavour, from advocacy initiatives and health care services, to research and humanitarian efforts. Nash shares music and a message of hope with millions of Canadian youth, playing concerts in schools, detention centres and other small venues where he speaks candidly of suicide, depression, bullying, self-harm and addiction. The lives he has touched are evidenced in numerous tattoos on his arm that bears the names of fans who have handed him discarded suicide notes as a gesture of solidarity, strength and perseverance. Nash was one of only three Manitoba residents recognized at the event. Kleefeld musician Robb Nash with Governor General Julie Payette presents Robb Nash with the Meritorious Service Cross (Civil Division) at Rideau Hall, in Ottawa. Team of Thieves Work Parking Lot On January 30 Steinbach RCMP received a report of a theft from a vehicle in the Walmart Parking lot. Two suspects were observed inside Walmart, who followed an individual into the parking lot. One male proceeded to drop money behind a vehicle and asked the driver for assistance. The other proceeded to enter the vehicle and remove the individual’s wallet, credit card and various other IDs. Police are seeking the assistance of the public to identify the individual. If you have any information in regards to the above you are asked to contact the Steinbach RCMP Detachment at 204-326-4452 or Crime Stoppers at 1-800-222-8477 or manitobacrimestoppers.com or text “TIPMAN” plus your message to Crimes (274637). Career Symposium Brings Options to Sprague The Piney Regional Chamber of Commerce is gearing up for its second annual career symposium. Taking place at the Sprague Community Hall on April 11, the one day event is expected to give students and local residents, an opportunity to view firsthand what options are available in the area. According to Piney Regional Chamber of Commerce President Jonathon Prevost, nearly 30 exhibitors have already confirmed, with a few more expected to sign up. Keynote speaker Kevin Chief, the Vice President of the Business Council of Manitoba will share his talk called, “We are all leaders: How a bus driver showed us anything was possible”. Chief draws on his personal and professional experiences to bring an expertise of community development and leadership training through his dedication to education, culture, training and recreation. The event also showcases the business community within the RM of Piney. Confirmed exhibitors include financial institutions, medical clinics and organizations and border services. Organizations such as World Trade Centre in Winnipeg will also be in attendance to discuss the ins and outs of entrepreneurship and owning a business. The inaugural event was held last year with eighteen local businesses and organizations setting up booths to give everyone an opportunity to network. In a previous interview, Prevost noted that those in attendance left the inaugural with a firm grasp of programs offered in the area, loan programs available to small business and entrepreneurship. The free event, is taking place at the Sprague Community Hall from noon until 6:30 pm. April is Early Bird Registration for Arts4tots Preschool Program At the Steinbach Arts Council’s Arts4Tots Preschool, early childhood development is fostered through the arts. The program inspires early development with professional dancers, actors, visual artists and music instructors. Cultural diversity is welcomed and celebrated and parents love the arts focus, indoor and outdoor lesson environments, creative calendars, and field trips. This year’s program runs from April 5 – 30 and all registrants will receive $50 off the registration fee. Arts4Tots is for ages 3 to 5 featuring creative learning, a focused classroom and qualified staff. Preschoolers have access to a classroom centre and professional music, theatre, visual arts and dance studios. Tots kick off the day with circle time where they participate in today’s weather, singing, ABC, 123, calendar and story time. During their time at Arts4Tots, preschoolers will participate in dress up drama, art discovery, music and movement, dance, storytelling, snack time, and more. New themes are introduced weekly, such as ‘Spring Science,’ ‘Celebrate Culture’ and ‘All About Me.’ There are also special days like ‘Hat Day,’ Pyjama Day’ and ‘Teddy Bear Picnic.’ Festivities include a Christmas showcase and ‘Moving Up & Graduation’ party. Our experienced directors bring out the best in Arts4Tots children, working to encourage and assist children in their creativity and development. Parent volunteers are also welcome to participate in classes and help craft a creative, safe and positive environment. Biannual progress reports let you know how your child is doing. From a parent of a child in the program, “We enjoyed and appreciated the program. She has learned a lot and become much more confident as a result of her time there and we are grateful for this. I would totally recommend the program to other people!” The Early Bird discount of $50 is available from April 5 - 30. Classes take place Monday to Thursday, from 9 - 11:30 am or 1 - 3:30 pm. Register in person at the Steinbach Cultural Arts Centre, 304 Second Street, or by phone at 204-346-1077. We accept MasterCard and Visa. For more information contact Stephanie Nykiforuk, Steinbach Arts Council at 204-346-1077 or programs@steinbachartscouncil.ca. Attempted Theft Leaves Damage On March 2 Steinbach RCMP received a report of mischief to a vehicle on Brandt Street. It was reported that sometime over night, a 2007 Crown Victoria had its window smashed. Culprits attempted to take the radio but had no luck and instead caused severe damage to the interior. If you have any information in regards to the above you are asked to contact the Steinbach RCMP Detachment at 204-326-4452 or Crime Stoppers at 1-800-222-8477 or manitobacrimestoppers.com or text “TIPMAN” plus your message to Crimes (274637). Back R Left to Right: Head Coach Monika G, Diego L, Aiden E. ,Mitchell P, Joshua FB, Graham G. Head Coach Bryan G. Front Row left to right: Mario M, Seth G, Dylan K. Missing from picture are Carsen , Quinn L and Elvi. regular season champs running over opponents 22 to nothing. “As the underdogs we played them in the final. With our goalie and only 7 field players [3 were unable to attend] we had 2 major injuries in the first 8 minutes, leaving us with no subs. Against a strong team with two full lines,” Gaucher explained. “The opponent scoring 2 of their 3 goals on a PK and direct kick just outside the 18, I don’t normally object to the ref’s calls but they were bad.” According to Gaucher, the direct kick was awarded when the opponent kicked one of the players so hard, they both went down and had to sit the rest of the game. Lorette Youth Lorette Girls Clean Up At Soccer Finals Wins Top Prize at Robot Games On March 16, the Lorette U13 Girls soccer team captured the Championship title for the Winnipeg Youth Soccer Association indoor soccer season. In a season that started back in mid October to mid March, the team played a total of sixteen games scoring 64 goals and only having 14 scored against. Fox stated. “I am so very proud of these young ladies as they worked together as a team is what made this happen!” At the end of the weekend, the team brought home gold medals and carrying trophies after clinching the Championship title with a score of 2-1 against Charleswood. Team members include: Back Row -left-right: Assistant Coach Don M, Alaina F, Keirra D, Mikyla B, Perle M, Emma M, Julia L, Sirai H, Camryn R, Asst Coach Christine D Front Row – left – right: Asst.Coach – Terri B, Eva M, Hailea B, Kylie H, Julia R, Hannah F, Trinity B, Danika B, and Head Coach Alison Fox. Thief Threatens Employees On Saturday, March 2 Steinbach RCMP received a report of theft from the Canadian Tire in Steinbach. The unknown female stole approximately $800 worth of merchandise and drove away in a white Chevrolet Cobalt. During the robbery, the female verbally threatened the Canadian Tire employees by stating she was carrying a knife but did not produce one. If you have any information in regards to the above you are asked to contact the Steinbach RCMP Detachment at 204-326-4452 or Crime Stoppers at 1800-222-8477 or manitobacrimestoppers.com or text “TIPMAN” plus message to Crimes (274637). Fifteen old Joseph Bernardin and his robot were along 237 pre-registered participants when the event took place at Tec Voc High School on March 18.
school.” Joseph Bernardin and his little robot named 1Linus Followous took home the first place trophy for the category of Line Follower. The Line Follower requires an operator to program their robot to follow an 18 mm wide black line around each of four progressively harder arenas. His second 1st placing came in the category of Line Maze with his robot called Linus Maximus. The robot’s task is to navigate from the start square to the home square by following the line in the shortest possible time. The science and technology project encourage students to build skills as mechanics, engineers, software designers, makers, and technicians, and consider turning their skills into a future career. The Manitoba Robot Games (MRG) is a project with Science Council Manitoba, which is a volunteer organization dedicated to promoting Science and Technology to Manitoba’s youth. Theft at Mark’s Work Wearhouse On Friday March 23 and again on Saturday March 24 three males and a female entered the Mark’s Work Wearhouse store in the Clearspring Centre mall. A black hard hat was shoplifted on Friday and four Carhart visibility T-shirts were stolen on Saturday. Total value of items taken is approximately $235. Photos available are not of great quality but perhaps someone is familiar with these individuals and able to identify them. If you have any information in regards to the above you are asked to contact the Steinbach RCMP Detachment at 204-3264452 or Crime Stoppers at 1-800-222-8477 or manitobacrimestoppers. com or text “TIPMAN” plus your message to Crimes (274637). Blumenort Employer Fined Employers are reminded to ensure that workers are safe and adequately trained while performing duties after a Blumenort business was one of two recently prosecuted for violations under The Workplace Safety and Health Act and Regulations. Blumenort based Imperial Metal Industries was found guilty of failing to ensure the safety and health of members of the public after an August 15, 2016 incident. According to reports, workers were moving a large, steel frame with an overhead crane when a link of the chain used to lift the frame disengaged from the hook, causing the frame to fall and pin a worker to the ground. The worker sustained serious injuries. According to Manitoba Growth, Enterprise and Trade the employer was ordered to pay $37,000 in fines and penalties. Falk Highlights Conservative Plan for Tax-Free Home Heating Ted Falk, MP for Provencher highlighted new details of the Conservative Party’s plan to make life more affordable for Canadians. Conservative Leader Andrew Scheer has announced that a Conservative government will remove the Goods and Services Tax (GST) from home heating and energy bills. Under the Conservative plan, all home energy for primary residences, electricity, natural gas, heating oil, propane, wood pellets, and other heating sources will be exempt from the GST. The Canada Revenue Agency will work with utility companies to rebate the 5% GST to consumers, saving the average Canadian household $107 per year. “We know how cold it gets here in southeast Manitoba,” said Falk. “Conservatives recognize that heating your home in the winter is a necessity, not a luxury.” “While Justin Trudeau’s Liberals have introduced a carbon tax that will increase the cost of everyday essentials like gasoline, groceries, and home heating, our Conservative team is focused on putting money back in the pockets of Canadians and helping everyone get ahead,” said Falk. Camp Bridges Prairie Mountain Health and Southern Health are organizing the 14th annual Camp Bridges weekend, a weekend camp for bereaved children and teens. Camp Bridges will be held at Camp Wannakumbac in Clear Lake, MB on May 24, 25 and 26, 2019. Camp Bridges is a camp for children and teens that have experienced the passing of a loved one. The camp is a supportive environment for young campers to learn they are not alone in their grief. They can connect with peers who are going through similar experiences and participate in fun activities along the way. Campers who have experienced the death of someone close can attend at no cost. There is room for up to 50 children and teens, ages 7-15. There are three ways you can help make Camp Bridges a success: 1. Become a volunteer! Camp Bridges is looking for cabin leaders, or people to assist with camp activities 2. Put up a poster at your workplace 3. Distribute Camper Application Forms to children you think may benefit from Camp Bridges Go to southernhealth.ca/finding-care/care-by-topic/palliative-careend-oflife/camp-bridges/ for more info or to access the Camper and Volunteer Application Forms. The deadline to submit applications is May 1, 2019. Cabane à Sucre Ready for Festival Head over to St. Pierre-Jolys for this year’s annual Sugaring Off Party taking place April 6 and 7 from 10 am to 5 pm at the Cabane à Sucre, Musée de Saint-Pierre-Jolys Muséum. Nearly 500 visitors per day from all over the province are expected to attend the festival, which is designed to celebrate the tradition of tapping Maple sap to make syrup and maple butter. Visitors to the Cabane Sucre will be shown how to properly tap a Maple tree, then the dehydrating process and given the opportunity to sample the finished product. The festival’s schedule is full of activities, including taffy on snow, an interpretive centre with demonstrations of the production of maple syrup, horse drawn wagon rides, museum tours, traditional French-Canadian food and tons of live entertainment for all ages. During the week prior to the public event, over 800 students are expected to tour the grounds and participate in a variety of planned activities. The first Cabane a Sucre took place during the spring of 1986, when local resident Armand Desharnais decided to tap a few of the Manitoba Maple trees on the museum grounds. Soon the annual event expanded into the annual Sugaring-Off Festival with the help of dedicated volunteers. Volunteers and Materials Needed for Angel Dresses A Manitoba based organization that provides bereavement gowns to families who recently lost an infant has recently expanded into southern Manitoba. To ensure the success of the program a call out has been made for local volunteers and donations. The Manitoba Angel Dresses was founded in 2014 in the Brandon area as a non-profit organization under the direction of Diane Monkman and Joan Demetrioff. 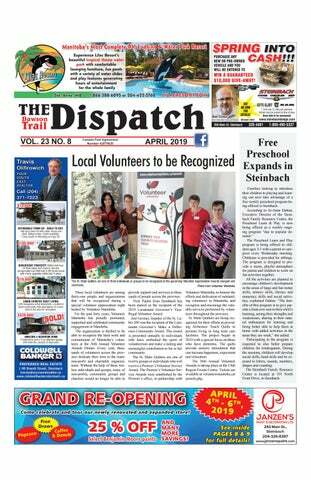 More recently, the organization opened a new chapter in Steinbach. The Manitoba Angel Dresses mission is to ease the stress on a grieving family, by providing the family a beautiful item lovingly created in which to clothe their precious Angel. According to Monkman, to achieve this goal, compassionate volunteers from Manitoba Angel Dresses create beautiful items from donated bridal and bridesmaid gowns. Volunteers put together Angel Packages which include a bonnet for girls or a hat for boys, an Angel outfit and a blanket. A neutral package is also available. Infants that are too delicate to be dressed are provided soft Angel wraps. The sizes of the Angel items go up to 3 months. All Angel items are gifted to grieving families, with any charges incurred covered by Manitoba Angel Dresses and its volunteers. Angel packages can be requested online at manitobaangeldresses.com. To ensure the success of the program volunteers are needed to fill the roles of seamstresses, transportation, collectors and crafters. Needed are donations of lace, thread, elastic, ribbons in pastel, white, or off white, lining in white or off white and 6mm beads in pastel colours. To donate, or volunteer, contact Sheryl Harder at 204-346-4580.
easily spotted and could affect the outcome of a situation if handled incorrectly. “They can be used for children or adults,” Dean noted. The belts come in 10 inch lengths, or 5 point harness style sets designed for car seats. They fit on a vehicle seat belt, or can be placed on walkers, wheelchairs and other mobility aids. They are fully cushioned so they can also double as additional padding if needed. Christine Dean displays a number of the custom seat belt covers that she creates which could assist emergency personnel at the scene of Photo by Marianne Curtis an accident. BSI Steinbach Team Leader Tammy Bydeley presents President of the Richer Community Club Laura Zimmerman with a cheque for $2,000. The Richer Community Club is one step closer to purchasing a new Pavillion Style cover for the outdoor rink thanks to a recent donation by BSI Insurance. On March 27, BSI Steinbach Team leader Tammy Bydeley presented a cheque for $2,000 to the club. The funding was provided by the company’s Because We Care Program, which donates $25,000 per year to the communities they operate out in. The money is slated to go towards a Pavillion Style Cover which is expected to make the outdoor rink more appealing to the community and region as weather would play a smaller part in affecting events and make it available to a larger variety of activities. The rink is an important recreation facility which services the Richer Community and area and runs many events throughout the year, such as the Richer Rodeo. This donation is made through BSI Insurance’s Because We Care Initiative. BSI Insurance was founded in Manitoba in the early 60’s and operates sixteen brokerages strong across Southern Manitoba. Jessica Lowther, Store Manager, Red River Co-op Lorette congratulates Mike for winning Free groceries for a year. A Lorette man has been named as one of the lucky winners of free groceries for a year during this year’s COOP Fuel-Up-To Win Contest. Jessica Lowther, Store Manager Red River Co-op Lorette was excited to present Mike with his prize. Mike collected the stamps required to win one of 25 prizes for free groceries for a year. The prize consists of $5,300 worth of gift cards to be used at any Co-op store. “Congratulations Mike and thank you for shopping with your local Co-op!” said Lowther. Throughout the month of March, Co-op customers have been frantically collecting “Fuel Up to Win” tickets in hopes of winning a piece of the $8.5 million in cash and prizes. To date, 23 prizes have been claimed in Manitoba, with a resident from Anola claiming one of 26 Road Trip LXE BBQ’s. Hockey Fever Takes Over Steinbach Ste. Adolphe Community Programs Receive Support Grants Two more community places grants have been announced for the St. Adolphe Curling Club and the St. Adolphe Community Club. According to Dawson Trail MLA Bob Lagassé more than $25,000 has been awarded to a pair of projects in St. Adolphe. “Our PC government understands that, in communities like ours, supporting small projects can make a big difference,” said Lagassé. “I’m very proud that we’re making these investments that will improve the lives of so many Dawson Trail families.” Under this announcement, the St. Adolphe Curling Club is receiving $12,554.87 to purchase a new ice shaver; and the St. Adolphe Community Club will receive $13,362.04 to purchase a new cook top and deep fryer for the arena canteen. The Ste. Anne Aces were one of the minor hockey teams that received a share of $15,000 in funding from Scotiabank as part of the event. For two days, local hockey fans were in their glory when Steinbach played host to Rogers Hometown Hockey. On March 9 and 10, the two-day hockey celebration, which included live entertainment and hockey-themed activities for the whole family drew hundreds to the community. Locals flocked to meet Ron MacLean and Tara Slone, who were both on site for the festivities, which included a meet-and-greet with NHL alumni Dave Ellett and Colton Orr, live local entertainment and the live Sportsnet NHL broadcast of the Winnipeg Jets and the Washington Capitals. The hockey festival began noon on Saturday and ended Sunday evening following an outdoor viewing party. The evening’s broadcast kicked off with a special pregame show hosted by MacLean and Slone live from the Sportsnet Mobile Studio where Steinbach was profiled to an international audience. Scotiabank also donated $15,000 to the minor hockey associations in the community. The City of Steinbach was one of 25 chosen to be part of the tour and along with Winkler were the only two communities in Manitoba to host the event. Local politicians and dignitaries take a moment to welcome Ron MacLean and Tara Slone from Roger’s Hometown Hockey to Steinbach. Save the Date and Ride for Mom! The annual Eastman ATV Ride for Mom is getting ready to hit the trails for the fourth year in a row to raise funds for CancerCare Manitoba. The annual event is hosted by the members of the Eastman ATV Inc, along with family and volunteers. Laurie Waldron, a breast cancer survivor, is the spokespersons for this year’s event. Taking place on June 1, participants, of the ATV Ride for Mom, can expect the ride to last four to six hours, with a lunch spot where sponsors will be set up promote or sell their products. The trail covers a distance of about 95 kilometers, through southern Manitoba starting in Marchand, going to the TransCanada Highway, and back. Laurie Waldron, a breast cancer survivor, the spokesperson for this year’s event. “The intent is to elicit donations and raise money for CancerCare MB with a focus on breast cancer research,” Waldron stated. “Eastman ATV would like the public to know that the ATV community cares for the greater community and feels a need to help and support cancer care patients in Manitoba by raising money for a good cause.” Money is raised by riders collecting sponsorships from friends and family, with 100% of the collected funds being directly donated to CancerCare Manitoba. Organizers note that Eastman ATV takes a portion of the funds, collected from each registered machine in the ride, to cover the cost of putting on the event and to repair the trail after the ride. This meets the permit requirements of the Provincial government of Manitoba, and enables Eastman ATV to have a sustainable event for years to come. On June 1, the ride starts between 8:30 am and 11 am. Riders arrive and leave the staging area at their leisure, to enjoy a day of riding on a Provincial forest trail with family and friends Eastman ATV Inc. is a non-profit organization based out of Lorette, with an annual membership of eighty plus members, including people from Winnipeg and the surrounding area. In 2012, Eastman ATV organized the first “ATV Ride for Hope”, a fundraising event, designed to create awareness for prostate cancer. The following year, the second “ATV Ride for Hope”, proved to be more successful than the first. In 2014, Eastman ATV organized and formed the 1st ATV Ride for Dad, also a fundraiser for prostate cancer. To register for this year’s ride, information and fundraising visit atvrideformom.com. Grace Mennonite Church on 430 Third Street, in Steinbach on Wednesday, April 7, starting at 7:30 pm. Tickets available online at steinbachartscouncil.ca, or at the Steinbach Cultural Arts Centre. Reserve seating is available. Grace Hrabi, Jesse Popeski and Quintin Bart as CASATI will be performing in Steinbach on April 7.
to contact the Steinbach RCMP Detachment at 204-326-4452 or CrimeStoppers at 1-800-222-8477 or manitobacrimestoppers.com or text “TIPMAN” plus your message to Crimes (274637). A young family of four has been displaced after an electrical fire gutted their home along Kokomo Road, near La Broquerie. Submitted photo. Stay Safe Around Padmount Transformers Padmount transformers are used to reduce the voltage of electricity that flows from underground power lines for use in homes, schools, and businesses. They are housed in large green metal boxes and are locked for safety. Damage to transformers can result in damage to Manitoba Hydro’s equipment and possible power outages. If you notice a broken lock or an open padmount transformer, report it to Manitoba Hydro immediately. If you have a padmount transformer located on your property, remind children to stay clear of it and follow these safety rules: - Never open the transformer or poke it with any objects - Never play hide-and-seek, sit on, or climb on them. It is possible to attractively landscape around the transformer with ornamental shrubs, but it is important to remember not to plant shrubs on the padlock side of padmount transformers. This side must be kept open for maintenance work to be done on the transformer. A padmount transformer indicates buried lines in the area, so be sure to locate underground electrical lines before you dig. ClickBeforeYouDigMB.com is free, simple to use and available 24/7. Once an online request is submitted and the locate is scheduled, Manitoba Hydro will mark underground natural gas and electrical lines free of charge. For more information on safety around padmount transformers, visit hydro.mb.ca. Bike Stolen from Residence On March 13 Steinbach RCMP received a report of a stolen bicycle from a residence on Brighton Lane. The bicycle was described as a black and green aspen mountain bike with a black water bottle holder. If you have any information in regards to the above you are asked to contact the Steinbach RCMP Detachment at 204-326-4452 or CrimeStoppers at 1-800-222-8477 or manitobacrimestoppers.com or text “TIPMAN” plus your message to Crimes (274637). With the wind howling and the snow piling up, I set off to drive to work. Heading down my long driveway I ploughed through snowdrift after snowdrift, my four wheel drive working happily. All was going good until I made it about three-quarters of the way down my driveway, that’s when it all went bad. The wind and snow had been blowing all night and the snow had levelled the entire area into one giant snowdrift. Despite having my truck’s four-wheel drive engaged, the truck’s tires slide off the hardened surface of the packed-down driveway and sank into the softness of the ditch. The snow bank next to my truck was so hard and high that I was unable to open my driver door and instead had to crawl over and exit through the passenger door. Glancing at the tilted angle of the truck as it rested in its snowy embrace, I could see why rocking it had been no use. Bundling up against the wind, I turned my face towards home and began trudging back. When the school announced that it was a snow day, my wife and I snuck into our children’s rooms to turn off their alarm clocks so that they could sleep in. My sons were both happy and excited and my daughter raised her arms and declared “hallelujah!” Of course, since they didn’t have to get up to go to school, they were all too happy to get up now to have a full day of doing not a whole lot. A typical snow day. Later that afternoon, I snow-blowed the driveway (the wind did a great job of filling my track in after I’d passed) and figured that I’d try to give the truck a tug with our minivan to help get my truck moving. Sadly, the van got stuck before I could put my plan into action. Shovelling and pushing, my wife and I were able to get the van unstuck and back into the garage. As my wife and I were shovelling around my truck some more, my neighbour came by with his bigger truck and attempted to help us get unstuck, his truck also became stuck. Walking home, he came back with his tractor and his wife. With very little effort, the tractor pulled his truck out and then it was able to drag my truck out from its glacial resting place. Thankfully, I was able to get my truck back into the garage and to begin the process of thawing the snow that was packed into each and every crevice of my truck. I would like to give a big thank you to Robert for all of his effort and help in getting my truck free; if not for him I think that it would’ve been there until the snow melted! Until next time, take care and keep your world spinning. Keep things cozy and comfortable with plenty of fabrics that add both tactile and visual warmth. Think high-pile rugs and plenty of faux fur throw pillows and chunky blankets. Thirst No More Everyone knows that water is essential for life. A person may survive weeks without food but without water, only about 7 days. There is great concern all over the world that the sources of drinking water are being contaminated and polluted. Governments are passing laws trying to keep toxic effluents out of our rivers and lakes to preserve what little drinking water we have left. When there are natural disasters, such as floods, people often get sick and die because there is no good drinking water. Man has suggested many solutions for our water drinking problems. These include adding chemicals or filtering through carbon or ultra violet lights or solar sterilization, etc. Funding is available through some organizations to drill new wells in areas where surface waters are contaminated. We will go to great lengths to be sure people have clean drinking water because we know it is crucial for people’s health and well-being. But what we fail to realize is that, just as good physical water is necessary for physical life, there is also a water necessary for spiritual life. In John 4 in the Bible, Jesus Christ was resting by a well when a woman came to draw water. He knew she needed the water from the well, but He offered her “living water” as well. Christ told the woman, “Whosoever drinketh of this water [well]) shall thirst again. But whosoever drinketh of the water that I shall give him shall never thirst; but the water that I shall give him shall be in him a well of water springing up into everlasting life.” Jesus Christ is that “living water” available today to everyone who desires eternal life. His “living water” will purify your soul of all the pollution of sin and replace the sin with Himself (living water). The woman at the well in the Bible said, “Sir, give me this water that I thirst not.” Christ forgave her sins and she went on her way rejoicing. He will do the same for you today, if you will come to Him in simple faith, believing that He died and paid for all man’s sins 2000 years ago. Now He offers that “living water” to “whosoever will.” If you haven’t accepted Christ’s offer of “living water”, why not come to Him today and drink freely? Niverville Woman Participates in Farm Exchange in Kenya By Marianne Curtis In the middle of March, Colleen Dyck of Niverville ventured to Kenya after being chosen to spend one week on a farm run by a female small-scale farmer, by the Canadian Foodgrains Bank. While there she was expected to document her learning’s and experiences for a short video that will be released in the fall. According to the Canadian Foodgrains Bank, the purpose of the video is to take viewers along on Dyck’s journey as she connects with Colleen and husband Grant operate a 14,000 acre grain and oilseed farm and she runs an Lucy Anyengo, who farms on less energy bar business, which she founded. than one acre of land on the Uganda/ Kenya border. For an entire week, Colleen worked on the farm alongside Anyengo, taking part in daily chores, and learning about the joys and challenges of small-scale farming in Kenya. Those challenges include everything from dealing with a lack of rainfall and unpredictable weather, few social security nets and poor soil fertility. “I’m looking forward to learning, Lucy Anyengo on her farm. productive resources, such as land and seeds, as male farmers, hunger around the world would decrease by about 12-17 percent. Women are more likely to use their increased income to send their children to school, and to purchase nutritious foods. However, there are real challenges, including gender. In videos posted on Facebook, Dyck talked about the things she’s learned and some of the struggles. One of the big ones being the, Gender Gap. “I imagine that giving someone “power” or equity who hasn’t had it in the relationship before is downright scary,” Dyck recalled in one of her videos. “Tackling this has to be done with so much cultural, emotional and relational sensitivity that I can’t even wrap my brain around the big fat HOW?” Launching in the fall, the video will be used to demonstrate how a small investment in the lives of women farmers can unleash their potential, with lasting impacts on families and communities. Do basic maintenance now to ensure your equipment operates safely for the season and is ready to get the job done. Mark 15:33… At noon, darkness came over the whole land until three in the afternoon. 34) And at three in the afternoon Jesus cried out in a loud voice, “Eloi, Eloi, lema sabachthani?” (Which means “My God, my God, why have you forsaken me?”). (NIV) Older! What does it mean when people say, Man you are looking older every day.” Well, it could have several meanings, one it is true I am getting older and so are you. Another meaning we attach to aging is that we now have the time to think about the future. Many of my friends my age or just a little older than me are passing away and I am left to wonder where they are right at this very moment. I know you might think that is rather odd to think that way, but ask yourself the question: Where do you think they are? And how did they get there? Simple little questions, but the answer is beyond measure, so simple and yet so profound. And as I am writing this I am touched. Please forgive me! But my heart is overwhelmed with the simplicity of it all. When we read the story of the crucifixion of Jesus Christ, most of us do not really know or perhaps do not want to know what happened on that day. But it would do no harm just to take a moment and let our minds and hearts do the talking after reading just a few verses from the Bible. Those two verses send shivers up my spine. Death for Jesus would be painfully slow and publicly humiliating. I would think that the executioner probably laid the crossbeam behind Jesus and forced him to the ground quickly by grabbing a hold of his arms and pulling him backward. As soon as Jesus fell, the beam would be fitted under the back of his neck, soldiers then would quickly kneel on the inside of the elbows forcing his arms on to the crossbeam. Jesus did not fight back and said nothing. With his fingers, the executioner probed the spot in Jesus’ hands where he wanted to drive the nails through. When he found it, he took one of the squarecut iron nails from his teeth and held it against the spot, and then he raised the hammer over the nail and brought it down with force. Two soldiers immediately grabbed each side of the crossbeam and lifted. As they pulled up, they dragged Jesus who was now nailed to the crossbeam to the spot where they had dug a hole in the ground for the cross, lifting the cross until it fell into the hole. Jesus, his arms now in a V position because of the full weight of his body must have become very conscious of the pain in his hands, his muscles in his forearms and the upper arms and the back of his shoulders would develop cramps. That would cause the muscles at the sides of his chest to momentarily limit his breathing. He probably could draw air into his lungs, but he would have great difficulty exhaling. Inflamed wounds, thirst, blood pouring from his wounds he died. He had paid the price for our sins. Now why did Jesus cry out, “My God, My God, why have you forsaken me?” I am not going to pretend that I fully understand, but I can make a calculated guess why: He had never known the consequences of sin! That was the one human experience through which Jesus had never passed because he was without sin. But at this moment as his blood ran down his arms and feet, he took upon himself the sins of all of us. In this terrible moment, Jesus really and truly identified himself with our sins. This was the one moment Jesus feared because he had never known what it was like to be separated from God because of sin. His task now completed, his victory won. Jesus died with the cry of “It is finished!” on his lips. After that terrible dark day, Jesus went home to God a victor glorious. But our story does not end here, because three days later a messenger in Christ’s tomb gave the women in Christ’s tomb the unbelievable news that Jesus had risen from the dead. That means you and I will someday be raised from the dead… To God Be the Glory Great Things He Has Done. Would you pray this prayer with me…? “Lord Jesus, come into my heart. Forgive my sins. I want my life to change. My thoughts and my attitude need to change. I do not have peace in my heart. I really want that peace, joy and happiness that I long for. Please let the Holy Spirit help me be the kind of Christian that will bring honour to Your Name.” Amen. C ommunity E vents Dugald Mixed Doubles Curling League - On Tuesday Nights at 9:15 pm or Sundays at 1 pm at the Springfield Curling Club. Format will be regular Canadian Guidelines. Cost $130 per person for a minimum 20 eight end games. Contact Cam Magura at 204-771-0029, ckmagura@gmail.com. Prairie Voices Toastmasters – On Tuesdays at 6:30 pm in the Springfield Library. Falcon Lake Alcoholics Anonymous - Whiteshell group meets every Wednesday and Saturday at 8 pm in All People’s Church, Falcon Lake. Come and meet with us or call 204-349-2374. We can help. have the chance to chose the Ace of Spade, and win the grand prize jackpot. Hosted by the Community Complex Fundraising Committee. Ritchot Senior Services: Foot Care Clinic – Date to be announced. Clinic at Le Club des Bles D’or with a certified foot care nurse. By appointment only. Call Janice 204-883-2880. Supper - Every Tuesday and Friday at Le Club des Bles D’. Please reserve your meal one day prior, before 6 pm by calling 204-878-2682 and leave a message. Lego Club – On Tuesdays, April 23 from 6:30 - 7:30 pm at the Bibliothèque Taché Library. Join us to build, create and explore! Drop-in, no registration required. Gardenton Spring Craft & Bake Sale – On April 6 from 10 am- 2 pm at the park. A hot lunch will be available. For inquiries or table rentals, call Kelvin at 204-425-8197. Ritchot Senior Services Supper Available - Every Tuesday and Friday at Club Des Bles D’or, 1254 Dawson Rd. Please reserve your meal one day prior, before 6 pm by calling 204-8782682 and leave a message. Hadashville Perogy Dinner – Saturday April 6, from 4:30 – 8:30 pm at the Recreation Centre. Cocktails: 4:30 pm, Dinner: 5:30 pm. Cost Adults $15, Children (7-12) $8 Children (6 & Under) Free. Advance Tickets only. Contact Maureen 204-426-5261 or Janet 204-426-2371. 50/50 and Meat Package Draws. Everyone Welcome. Game Night – First Wednesday, of the month from 6:30 – 8:30 pm at the Tache Library, 1082 Dawson Rd for ages 13 and up. Join us for monthly board game nights, cards, chess, Crib, Settlers of Catan and many more! Feel free to bring your own. Reynolds Moms & Tots Playgroup – On Wednesdays until June 26, from 10 am – 5 pm. Crafts, Gym Use, Playroom, Snack, Outdoor Play. Contact Angie Hood 204-295-4010 Ile-des-Chênes Ritchot Senior Services at the TransCanada Centre. Call 204339-6141 for more information. Foot care - On Tuesday, May 14. Contact for an appointment Janice 204-883-2880. Indoor walking - Mondays, Wednesdays, Fridays 9 – 10 am. Yoga - Mondays from 10 – 11 am and Thursdays from 11 am – 12 pm. Pickleball - Tuesdays from 6:30 - 8:30 pm and Wednesdays from 1 – 3 pm. Water Colours Class - Thursdays from 9 – 11 am. Seniors Zumba - Tuesdays from 10 – 11 am. Junior Youth – Every Wednesday from 7 - 8:45 pm at Seine River Church, 1464 Dawson Rd (east of rink) for ages 9 - 12. Free. No registration required. Non-denominational. Contact lorettejryouth@gmail.com, 204-260-9304. Middlebro Spring Craft & Everything Sale – On Saturday, April 13 from 9 am – 3 pm at the community Hall. Table rentals are $10. Serving lunch. Contact Rita or Susan 204-437-2415 for table rental. Mitchell Seniors’ Breakfasts – Every Tuesday, from 8 - 9:30 am at the Seniors’ Centre, 130 Ash St. Open to all. Cost from $3 to $6. Bring a friend and enjoy the fellowship. Contact Jane Penner, 204-346-2469, jpenner@jantre.com. Taekwondo – On Tuesdays and Thursdays from 6:30 – 8 pm at the Ecole Ile Des Chene School. Cost $40/month, family rates available. Contact Kangs.mb.ca, Master Bill Tam 204296-8217. Niverville Garden & Outdoor Living Show – On Saturday, April 13 at 10 am at the Heritage Centre. Inspired by the love of the outdoors, backyard barbecuing, fresh vegetables and so much more! Free workshops and free admission. Contact 204-3882150, events@heritagecentre.ca. IDC Taekwondo – on Tuesdays & Thursdays at the Ile Des Chene School from 6 – 8 pm. Contact Master Jackson 204-782-1240, email pdjj8@ mymts.net. GriefShare - If you or someone you know has experienced the loss of a loved one we wish to help, you get support and learn about the grieving process. Contact 204-381-1155 to register or go to Nivervillegriefshare.com. Story Time in Pyjamas - Every Thursday evening at the Ritchot Library Ecole Regional Gabrielle-Roy at 6:30 pm. Ages 2-8 however all ages are welcome. Moms N’ Tots Playgroup - Moms with children up to age six. Wednesday mornings from 9:30 - 11:30 am located in the lower level of Fourth Avenue Bible Church (62-4th Avenue S.) Free drop-in program with coffee and snacks provided, along with a large open space for the kids to play while the moms visit. Contact Karen at klenzrpeters@hotmail.com. Kleefeld Community Playgroup - For parents, caregivers and children up to age 5. Activities include time for playing, stories, songs and snacks. Every 2nd and 4th Thursday of the month at the Rec Centre. Contact Irene Ascough 204-377-5013. La Broquerie Chase The Ace – On Wednesdays, April 3 at 6 pm at The Frantz Inn, Hwy 52. Tickets $1 each, from 6 - 8 pm. Draw takes place at 8:10 pm. If the Ace is not pulled, the winner will take home 10% of that night’s ticket sales and 45% will be added to the next week’s Jackpot. Every week that the Ace of Spades in not pulled, the pot grows larger! Funds raised to support Agape House. Contact 204-326-6062. Spud, Steak, N Cheers Dinner Fundraiser – On Saturday, April 13 at 5:30 pm at the Hotel. The 12th Annual Dinner Fundraiser for Southeast SnoRiders. Cost $25. For tickets contact Maureen 204-429-2049, Mitch 204-437-2343, Ivy 204-257-2151.
on premises and must play bingo. Doors Open at 5:30 pm at the Young at Heart Club, 22 Dawson Rd. MGCC License # BI/BO4164. Contact Doreen Pchajek at 422-5243 or doreen@spmf.ca. Sarto Ukrainian Dance Club – On Mondays from 7 - 8 pm at the Sarto Hall. Join the Sarto Polevnyi Ukrainian Dance Club for the season! You do not need to be Ukrainian to dance! Boys & girls, ages 3 to adult, no prior experience required! Cost starts at $150/year. Sirko Spring Supper – On Saturday, May 4 from 5 – 7 pm at the Hall. (6 miles south of Sundown on Sirko Road and 1 mile east on Rd 1N.) Perogies, sausage, salads and desserts. Adults $12, Children 6 - 12 years $6, 5 and under free. 50/50 Draw. Sponsored by the Sirko Women’s Association. South Junction Southeast Farmer’s Market – On Saturday, April 27, from 10 am – 3 pm at the Pine Grove Seniors Club. Contact Jen 204423-2223 for table rentals or information. Lunch available. Sprague Career Symposium – On Thursday, April 11 from 12:30 – 6:30 pm at the Community Hall. Local businesses, organizations, engaging speakers, displays, and presentations. Contact Jonathon Prevost 218-242-1588. Open to all. Sprague & District Historical Museum - Open by appointment from June – September 30. Explore life as it was in the early days. Free Admission. Donations Accepted. Contact 204-4372210, 204-437-2209 or 204-437-4686. St. Adolphe Ritchot Senior Services: Guest Speaker – On Tuesday, April 9 at 10 am, 457 Main St. Right at Home is back to speak to us about Incontinence. We have all seen the commercial on television, “we all pee a little” but “no one wants to talk about it” well we are going to talk about it. Refreshments served. Call or email to reserve a seat, Janice 204-883-2880. Old Tyme Dance – On Saturday, April 13 with Patti Kusturok. On Saturday, May 11 with Mark Morisseau and Saturday June 8 with Mark Morisseau. Dance is from 7 – 11 pm at the Pioneer Hall, 345 Hebert Rd. Admission $15 lunch included. Call to reserve tickets Rae 204-883-2440 or Denise 204-883-2429. History Share with St. Adolphe School – On Tuesday, April 30 at 10 am. Meeting with the grade 5 - 6 English class to share stories and memories of past floods. To attend call Janice 204-883-2880. Spring Hobbies – On Wednesday, April 3, April 17 and 24 from 9:30 - 11:30 am at 457 Main St. Quilters, knitters, people that like to lend a helping hand, join us this spring as we work on two different projects. We continue to create touch quilts that will be donated to the Alzheimer Society and knit wear for various projects. The Knights of Columbus - The St-Pierre Carillon Council – On the first Thursday of the month at 482 Jolys Ave. W. Contact 204-433-7633. Ste. Agathe Seniors Group Card Games – On Tuesdays from 1:30 - 4:30 pm at the Community Centre, 183 Pembina Trail. Cost Membership $10 a year. Bring a friend Day. Contact 204-8822180. Taekwondo - Every Tuesday and Thursday from 6:15 - 7:30 pm at Ecole Sainte Agathe hosted by Kang’s Taekwondo Academy. Cost $40/month. Family rates available. Contact Jason Barnabe, jason.barnabe@gmail.com or 204-802-3458. Ste. Anne Piano Lesson - With Josue Beaudoin, on Monday nights at 112 Central Ave. Cost $200/10 lessons payable to the Cultural Committee of Ste. Anne. Contact 201-422-9599, cccsa@mymts.net. Seine River Services for seniors – Services and programs for seniors. Income Tax help, Lifeline, mobility equipment, foot care, hair care, transportation, home maintenance, yard maintenance, Telecheck, E.R.I.K. program, puzzles and games. Shopping Trips to Winnipeg’s St.Vital Mall every first Thursday of the month, leaving at 10 am - 3 pm. Cost $15. Steinbach’s Clearspring Centre every last Thursday of the month, from 10 am - 1 pm. Cost $10. Contact Juliette Rowan at 204-424-5285 Community Resource Coordinator for local services or e-mail labseinerss@gmail.com. Ste. Geneviève Library Night – On 2nd Tuesday every month, February 12 at the Community Centre from 6:30 - 8 pm. Large selection of books in both French and English, for children and adults. Special requests can be made to the librarian, e-mail btl@ srsd.ca or 204-878-9488 or in person. Come for a visit and see what we are all about. Steinbach Small Business Planning for Entrepreneurs – On Wednesday, April 3, at 6:30 pm at the Jake Epp Library, Elmdale St. Business Development Bank in Canada (BDC) offering or financing solutions and consulting services to entrepreneurial businesses addressed to newcomers in Canada. Contact Gwen Reimer 204-346-6609, gwen@eastmanis.com. Pickleball – Every Thursday from 6 – 8 pm at the school, 444 La Seine St.
Pinawa Whiteshell Toastmasters – On Tuesdays at 11:30 am at Whiteshell Laboratories, 1 Ara Mooradian Way. Sign-in required. Bingo – On Tuesday, April 16 from 1 – 2:30 pm at the Bible Fellowship Church. Cost $2 and there will be fresh homemade cinnamon buns coffee and tea. All games played for fun prizes. Contact Janice 204-883-2880 to reserve a seat. Southeast Artists Art and Sale – On Saturday, April 6, at 10 am at the Clearspring Centre mall. Original paintings by local artists in oils, acrylics, watercolour, and art cards. Contact Kim 204-326-6186. Prawda Circuit 30 - Alternate aerobic and weight exercises, with cool down and stretch exercises. Wear comfortable clothing, clean runners, and bring a bottle of water. Cost $2/class, Mondays and Thursdays at 7 pm, in the Reynolds School Gym. Contact Wendy 204-348-2433. 50+ Fitness – On Mondays, Wednesdays and Thursdays at Ritchot Senior Services, 457 Main St. Cost Buy 10 classes for $40 and receive 1 extra class free, 5 classes for $20 or a $5 drop in fee. Chair fit - On Mondays at 11 am at 457 Main St. Join us for a quick 30-minute workout with our chair fit program. Cost is Free. Steinbach & Area Garden Club - On Monday, April 8, 7 pm at the Mennonite Heritage Village. . Our Annual Look at Annuals with Duayne Friesen , Ball Seed Company. Come preview the new and trending plants for 2019. Door prizes. $5 non members. Contact Anne Peters 204-326-2396, agpeters@ mymts.net. Paradise Village Paradise Squares Dance Club - On Tuesdays from 7 – 9:30 pm at the Paradise Village Rec. Hall. Modern Square Dancing is fun and a great social activity. Couples and singles are welcome. Contact Larry 204-422-5424. Lunch Program & Bingo – On Thursdays, at Le Club Amical, 344 Main St., for only $8. Eat in or call ahead for takeout. Contact 204-883-2491. Busy Bodies Playgroup – Every Wednesday from 9 - 11 am at the Reynolds School Gym. Free to parents and children. Snacks provided. Contact Cassie 204-793-8290. Lorette Adult Craft Club - Every 2nd Wednesday per month from 6:30 to 8 pm at the Tache Library. Do you like to knit, crochet, cross-stitch, color or do paper crafts? Join us at the library for our Craft Club. Bring along your preferred craft activity and enjoy tea, coffee, and good company. Adults only. Coffee and tea will be provided. Adult & Teen Challenge Concerned Persons Support Group Join us Thursday evenings at 7 pm, in the Richer Fellowship Church, 50 Southeast Drive. If you have a relationship with someone who has a life-controlling problem, join us for this nine-week Living Free course. Receive encouragement and support in a safe setting, and learn practical ways to best help your loved one. Contact Pastor Ben Funk at 204-326-2254 or phone the church at 204-422-5308. C.H.I.L.D program – On Wednesdays from 9:30 - 10:30 am at Ecole St. Adolphe School. Children’s introduction to learning and development. Contact sas@srsd.ca or 204-883-2182. Richer Recovery AA - Group meets Monday from 7:30 - 8:30 pm at LUD Hall in Richer. Contact Paul at 204-422-7673. St. Pierre-Jolys Sugaring-Off Festival – On Saturday April 6 and Sunday, April 7 from 10 am -5 pm at the Museum, 432 Joubert St. Celebrate the arrival of spring and the production of Manitoba maple syrup, with historical Métis and French Canadian values is worth the visit. Free Admission. Contact museestpierrejolys@gmail.com, 204-433-7002. Stay and Play Group – Every Monday from 9:30 – 11:30 am at YFC Cinema. Snacks, coffee served, and childcare available. Fung Loy Kok Taoist Tai Chi – On Wednesday, April 3, at 7 pm at the United Church, 541 Main St. Ancient Taoist Tai Chi art develops a strong body, balanced and energetic mind that is calm and clear, creative and dynamic. Join us to learn 108 moves of Taoist Tai Chi and feel the benefits. All of our classes are led by qualified instructors. Contact Veronica Klassen 204392-6565, Winnipeg@taoist.org. Seine River Services for Seniors- Health Centre/Centre de Santé from Monday - Friday 8:30 am - 4 pm. Services and programs for seniors. Income Tax help, Lifeline, mobility equipment, foot care, hair care, transportation, home maintenance, yard maintenance, Telecheck, E.R.I.K. program, puzzles and games. Contact Community Resource Coordinator Juliette Rowan, 204-424-5285 or labseinerss@gmail.com. Shopping Trips to Winnipeg’s St.Vital Mall every first Thursday of the month, leaving at 10 am - 3 pm. Cost $15. Steinbach’s Clearspring Centre every last Thursday of the month, from 10 am - 1 pm. Cost $10. PTSD Support Group – Every 2nd Thursday of the month starting April 11 at 7 pm at the RM of Tache office, Hwy 206. Volunteer support group meeting for posttraumatic stress disorder support group. Army Cadets – Every Thursday until June 2019 from 6:30 - 9 pm at the community hall, 555 Hebert Ave. Join now the 3234-Manitoba Horse RCACC Army Cadets. Leadership, citizenship, community service, sports, orienteering, canoeing, marksmanship, drill, band and more. For all youth aged 12 - 19. Enrollment is Free, No deadline to register. Contact Capt Roxanne Maynard, Commanding Officer 204-324-4034, roxanne.maynard@cadets.gc.ca. Richer Community Club Chase the Ace! - Every Saturday at the Richer Inn from 5:30 - 7:45 pm. Tickets only $1 each. Jackpot is growing! Door prizes on random Saturdays ranging from glassware to Jets tickets and jerseys! Bud, Spud and Steak Special and more! Check out the Richer Community Club Facebook page for updates. LGA License #1392RF. Foot Care Clinic – On Tuesday, April 16 at 457 Main St. with Ursula Giesbrecht certified foot care nurse. By appointment only. Call Janice 204-883-2880. Mood Disorders Meeting – On Thursdays at 2:30 pm, 457 Main St. with Tara Brousseau, Executive Director for a support group, with topics on depression, bipolar, recovery, shame, resilience, mindfulness, meditation, coping and self soothing skills, interrelationship skills, seniors’ issues, distress tolerance and peer to peer support. All ages are welcome. St. Malo Chase the Ace – Every Thursday from 8 - 10 pm at the St Malo Hotel. Starting pot is $3,000. All profits to the Fire Hall and Arena. Write or Wrong: Creative Writers Group – On Monday, April 8, at 7 pm, Jake Epp Library, 255 Elmdale St. Meet the Writer’s Group which meets on the second Tuesday of every month at 7 pm. Enjoy the company of fellow writers, bring a selection of writing to share and have critiqued (max. 5 pages).For ages 16 and up. Contact Madison Redekopp, 204-326-6841, programs@jakeepplibrary.com. able for sale. Refreshments will be served. Contact Madison Redekopp 204-326-6841, programs@jakeepplibrary.com. Used Book Sale – From Wednesday, April 24 – Saturday, April 27 at the Clearspring Centre mall in Steinbach. .Sponsored by East Borderland Community Housing to support Phase lll of the seniors’ housing project. Please drop off book donations at East Borderland Primary Health Care Centre in Sprague or call Elsa 204-437-2843. To help out at the sale, please give Elsa a call. Thank you for any support you can give. PTSD Support Group- On the last Thursday of each month, at 7 pm at the Steinbach Legion. Volunteer support group meeting for posttraumatic stress disorder. Southeast Open Judged Exhibition – Runs until Thursday, April 18 for amateur artists of all ages and all mediums, oils, acrylics, photography, quilts, crafts, woodwork and more. Contact sac-online.ca or in the SAC office. The Art of Mennonite Clocks – Until April, an Exhibition of Mennonite Wall Clocks and Their Stories Spanning More Than Two Centuries. The joint exhibition showcases 33 clocks and their stories sponsored by the Mennonite Heritage Village and the Kroeger Clocks Heritage Foundation at the Mennonite Heritage Village, 231 PTH 12 North. Movie Night at the Library – Every 4th Friday of the month at 6:30 pm at the Jake Epp Library. We alternate between a family movie and a classic movie. Free admission and popcorn are included. Children 12 and under must be accompanied by an adult. Contact Madison Redekopp 204-326-6841, programs@jakeepplibrary.com. Breast Feeding Group – On Fridays at 10:30 am at the Steinbach Family Resource Centre for a support group, current information and a variety of presentations. Contact 204-3460413. Toddler & Me Story Hour - Classes offered three times a year for a 10-week session in Fall and Winter and a 5-week session in Spring. Classes are free. Enjoy stories, songs, rhymes, literacy and parenting tips, crafts and snack for parents and their children ages 1-3. Advanced In-person registration is required. Limited space available. Drop In Book Club – 2nd Tuesday every month at 7 pm in the Jake Epp Library. We’ll post the book for discussion that month and if you’d like to join us please stop by. If you want to start your own book club instead, you can always take advantage of our Book Club collections. No sign up required. Just read the book and come hang out. Knit-Wits Drop-In Club for Adults - Every 4th Monday of the month, from 6 – 9 pm at the Jake Epp Library. This is for anyone interested in fibre handcrafts such as knitting, crocheting, cross-stitch, needlepoint etc. This is not a class but a casual knitting circle for all skill levels. Please bring your own items/supplies. TOPS (Take Off Pounds Sensibly) – On Wednesdays, from 8:45 - 10:30 am at the Royal Canadian Legion. Cost $2/ week. A weight control support group that helps take off pounds sensibly and keep off pounds sensibly. Contact BettyLou Toews at 326-6397. Eastman Immigrant Services - Many events and activities to support and help you make new friends. Volunteer to help at our community events. Every Day English All Levels - Every Wednesday 1 – 3 pm. Reading & Writing – All Levels on Monday and Wednesday from 10 am – 12 pm. Pronunciation All Levels - On Monday and Wednesday from 7 – 9 pm at D4-284 Reimer Ave. Classes are free. Southeast Entry Program Online: Learn about Health Care, Employment and Laws. To register for this 4-week online program, contact Josie@eastmanis.com, 204-346-6609 or email lois@eastmanis.com. Eastman Safety Upcoming Programs - Located at 385 Loewen Blvd. Register online at eastmansafety.ca or contact 1-204371-1595. Creativi-Tea Time Adult Colouring Group - Twice monthly on the 2nd Wednesday from 6:30 - 8:30 pm and on the 2nd Friday from 1 - 3 pm at the Jake Epp Library. Cost Free. Join us for a time of relaxation, tea and colouring. Tea and supplies are provided but you are welcome to bring your own! Artistic Connections – Every Tuesday, April 9, at 9:30 – 11:30 am for 6 weeks at the United Church, 541 Main St. Agape House is offering Artistic Connections!! A fun and interactive program for parents or caregivers with children up to 6 years of age. Cost free. Contact Donna 204-326-6062, childrens@agapehouse.ca to register. Childcare available for children 7 and up. Games Day & Games Night – Every 1st Saturday of the month from 12 – 5 pm and the 3rd Wednesday of the month from 6 – 8:30 pm, at the Jake Epp Library. Come down to play strategy games. Bring a friend, your strategies and games. Test your skills and have fun. Ages 14 and up unless accompanied by an adult. Contact 204-326-6841, programs@ jakeepplibrary.com. Pet First Aid Basics - On Tuesday, April 16 at 6 pm, Eastman Safety Training Centre Inc., 62 Life Sciences Pkwy. Come down for this short workshop and learn how to help your beloved pet in the most common emergencies, CPR, Seizures, Choking Wound Care, Poisoning. Cost $25+GST. Contact info@ eastmansafety.ca. Royal Canadian Legion - On 1st Tuesday every month until June at 8 pm and Ladies Auxiliary meets 1st Monday of each month at 7:30 pm at the Steinbach Legion Community Hall, 294 Lumber Ave.
Steinbach Girl Guides - Every Tuesday at the United Church of Steinbach, 541 Main St. Registration for girls 5 - 17. Develop personal values and well-being, self-respect and respect for others; promote fun, friendship, adventure and challenges through new experiences; develop leadership and decision-making skills; give service to the community; value the natural environment. the individual people located within their towns and helping to fulfill their immediate needs. The program is sponsored and promoted by Heavenly Pines Wood Inc. of Menisino, to demonstrate a willingness to be of service to surrounding communities setting a positive example. After the successful completion of several projects, the business launched Campaign for Kids. Their first campaign was to sell tickets and raffle off a custom table. The students sold the tickets and 90% of the money raised from the raffle was used to pay for the school’s band trip. Manitoba Pharmacare Program Pat Porter Active Living Centre offers programs, activities, services and volunteer opportunities, striving to promote healthy and active living for mature adults of the southeast region. We invite you to come out (all ages are welcomed) and pay us a visit and consider participating in some of our programs and events. Visit our website at patporteralc.com. Memberships: 2019 memberships available for $30 per person. Join now to enjoy our member’s benefits! Other Programs and Services: Noon Meals - Monday to Friday for $6.Soup, dessert and a biscuit $3. Call kitchen at 204-320-4605 the day before or before 9 am to reserve. Foot Care Clinic – Call reception at 204-320-4600 to book your appointment. Belltone Hearing – Call 1-800-661-2653 to book an appointment. Community Financial Counselling services – Monday, April 8. All services are free and confidential. Call to reserve your appointment at 1888-573-2383. Alzheimer Awareness: I Live With Dementia, Let Me Help You Understand. Wednesday, April 17 at 10 am. Call front desk to register at 204320-4600. Presentation is free of charge. Transportation – Need a ride to an appointment and you are a senior or in need of some help with cleaning or yard work? Call Carrie to help arrange this for you 204-320-4604. For a small fee she can help you arrange this. Equipment Loan Program – Wheelchairs and walkers for temporary use available. Contact Carrie at 204-320-4604 for more information. Volunteer Opportunities: All ages welcome to volunteer. Please call Sonja at 204-320-4603 for more information. We are looking for Friendly Visitors, Maintenance, Meal Delivery, and Office Support. Regular Programs and Activities: Activities may be cancelled due to other events on short notice. Please check with Centre. Please note: All of the programs, activities and events are open to any age. Our programs are aimed for seniors but we welcome and encourage all to be a part of what we have to offer. All programs and activities are $2 for Members and $4 for Non-Members unless otherwise stated. Drop-in: Tai Chi: Mondays 10:30am - 11:30am. Exercise Classes: Tuesday 12:30-1:30 pm and Thursday 1–2 pm. Choir: Wednesdays 10-11:30 am Computer Classes: Wednesdays from 9 am- 2 pm one on one 1 hour appointments. HO Model Railway Project: Wednesdays and Fridays 10 am-3:30 pm. Movie Time Potluck: ‘Mary Poppins Returns’ Monday, April 29 at 12 pm. Floor Curling/Floor Shuffle: Wednesdays 1:30–4 pm. Advanced Pickle Ball: Monday, Wednesday, Thursday, Friday 9-11:30 am and Tuesdays 9-10:30 am. Beginners Pickleball: Mondays 1–3 pm. Billiards: Monday–Friday 9 am-3:30 pm. Cards: All card games run from 1-4 pm. Monday – Canasta, Tuesday – Euchre, Wednesday – Cribbage, Thursday-Whist. Crokinole - Friday 1:30–4 pm. Book Club – Tuesdays at 11 am– 12 pm - featured book: ‘The 100 Year Old Man’. Old Time Country Jam – Wednesday from 7–9 pm. Register and/or Purchase Tickets: Old Time Country Dance: Featuring Small Town Limits Band Friday, April 26, 7–11 pm $12 for members, $15 for non-members $20 at door. Potluck – Thursday, April 11 at 6 pm. $6 per person. Call reception desk at 204-320-4600 on what dish to bring for sharing. Children’s Hospital Book Market- Thursday, April 25 from 9am – 2 pm at St. Vital Centre. Call to carpool at 204-320-4600. $5 per person. Pick Up & Walk- Saturday, May 4 at 9 am at the TG Smith Arena in Steinbach. Call to register. Pancake Breakfast- Tuesday, May 14 from 9 am -12 pm. $5 per person. Goldeyes Day game- Tuesday, June 4. Registration ends Monday, May 20. $35 per person. Free Programs: Walking Program: 8:30–9 am and Noon–1 pm, Monday to Friday. Crafty Corner – Every Friday 2-3:30 pm. Cozy Corner Coffee – Every day 10:30 am. Enjoy a complimentary coffee an occasional treat and some great conversation. Rentals: We accommodate birthdays, anniversaries, weddings, showers, meetings, family gatherings and much more. Call Sonja at 204-320-4603 for more information and to book. For more info on programs, activities or volunteer opportunities, please drop by the Centre from Monday to Friday, 8:30 am to 4 pm or call Sonja at 204-320-4603 or the reception at 204-320-4600, Fax 204-320-9098.
specified prescription drug coverage through another drug insurance or benefit plan; and - Pre-authorize Manitoba Hydro to make automated monthly withdrawals from their bank or credit union account to pay for their Pharmacare annual deductible by way of monthly instalments as well as their monthly Manitoba Hydro energy bill. If your prescription costs are fairly high and you reach your Pharmacare Deductible quickly, I recommend you check out the option of the Deductible Installment Payment Program. If you already have a Hydro account (pay hydro monthly) it will be added to your current bill. If you do not have a Hydro account (you rent and do not pay hydro yourself), you will need to apply. If you need more information you can contact Pharmacare directly, or drop in to our office and see me (after April 30 of course!). A quick reminder to get your taxes completed by April 30. Especially if you owe; you face penalties if you miss the deadline and you owe CRA. If you are expecting a refund, you can delay your filing. If you or your spouse is self-employed, you have until June 15 to file your taxes without penalty. Don’t be late filing your taxes if you owe. The penalty is 5% of the amount owing plus 1% for each month you are late. And if it’s not the first time you are late, the penalties are even worse! Even if you do not have all your info to file by the deadline, file it with estimated amounts. You can always adjust later. Happy Tax Season! Anni Markmann is a Personal Income Tax Professional and Certified Financial Planner; living, working, and volunteering in our community. Contact Ste Anne Tax Service at 204.422.6631 or 36 Dawson Road in Ste Anne (near Clearview Co-op) or Info@SteAnneTaxService.ca. month,” Brandt added. A major benefit of peer to peer support groups is validation. Being in a group with a number of people struggling with the same problem, participants can see that they are not alone in their struggles. Another benefit of group therapy is being able to learn from the experiences of others, including coping mechanisms, just like sharing those experiences can help others. It also provides an opportunity to develop supportive, trusting, and health relationships with other people. Award winning comedic duo, James played by Aaron Malkin and Jamesy played by Alastair Knowle will perform 2 for Tea on April 5 in Steinbach. –Steinbach Cultural Arts Centre, 304 Second Street. Reserve seating is available. SAC’s Backyard Theatre Company Registration Begins April The Backyard Theatre Company (BTC) has certainly made a name for itself in the local community as one of the Steinbach Arts Council’s most notable programs, and the chance to enroll at a 15% discount is not to be missed. The BTC features weekly classes for ages 5 to 17+, a Christmas recital and an end-of-year production. Classes include Acting Out for ages 5 – 8 designed for fun by getting creative with improvised storytelling and puppet shows. Participants learn the easy basics of performance such as voice projection, confidence building, and costuming. Level 1 – Dramatic Discovery (ages 9 - 11). Discover the process of preparing for a play: learning your lines, character development, and exploring the stage. Includes storytelling character building exercises and improvisation. Level 2 – The Actor’s Studio (ages 10 - 12). Experienced (mature) students take their acting experience to the next level! Try new games, challenging scripts, and grow your improvisational skills. Level 3 – The Audition (ages 12 - 17). Advanced students can combine silly improvisation with serious studio practice. Includes warm-up exercises, writing, memorization and more. for my child, who lives with autism. For more than five years, being in BTC has given them the experience of being a part of a team, all working together to build skills and reach a common goal. It has also resulted in greater self-confidence, creativity and social interaction. The directors have been amazing at connecting to each child and in writing plays that showcase the abilities of each child in the class, while challenging them to learn new skills. I recommend BTC highly.” Additionally, parents of BTC students have a unique opportunity to become part of the action through volunteering within the theatre program by joining the Parent Advisory Committee, helping with costumes or backstage at recitals. The Early Bird discount of 15% is available from April 5 - 30. Classes begin September 10 at the Steinbach Cultural Arts Centre and can be attended one time at no cost to see if the class is right. Take advantage of this offer and bring a friend too. Register in person at the SAC Office – Steinbach Cultural Arts Centre, 304 Second Street, or by phone at 204-346-1077. For further information contact Stephanie Nykiforuk at 204-346-1077 or programs@steinbachartscouncil.ca. fitness. Activities include swimming, flag football, basketball, rugby, baseball, tennis, skateboarding, BMX, volleyball, ball hockey, dance and more. Children will visit the Steinbach Aquatic Centre, Splash Park, local dance studio, and a variety of city parks. Registration opens April 1, and can be completed online at steinbach.ca. Anyone that registers their child before April 30 will save 10% off the $135 weekly camp registration fee. Spaces are limited. now, call 204-346-1077 or online steinbachartscouncil.ca. NEW Spring Programs at SAC! Creative Wellness – Pilates, Fascia Movements, Intro to Pilates, Prop it Pilates, On the Ball and Lunch time Pilates. Visual Arts - Digital Photography, Beginner Watercolor Painting, Beginner Oil Painting, Abstract Acrylic Painting – Beginner and Intermediate, and Contemporary Acrylic. Register online or call our office today 204-346-1077. Limited spaces available! Home School Music Programs We have room for a few more students! Any student can try it for free. Programs run two Fridays a month. Thanks to Ledingham GM, we have assistance for families with financial challenges so everyone gets to participate. Gabriela Gallo is an expert in Curriculum-Based music teaching for young children. She will cover such fundamentals as Orff instrument exploration, nopitch percussion playing, movement & dance, recorder, singing & choral technique, and music history & theory. Call Stephanie at the Arts Centre to try the next session and to meet Gabriela. Dinner Theatre - Featuring ‘Jurassic Pork’…where Jurassic Park meets The Daily Bonnet Celebrate the Arts Gala … in Tropical splendor! On Friday, May 3. Purchase your tickets or table today. Theatre Entertainment, a fine art auction, a Jewelry Tombola, martini bar, silent auction, delicious food and dancing with Summer Bounce and a Live Artist on site! Table $850 and Individual Tickets $120. Messiah - In celebration of the Eastman Choral Association’s 30th anniversary, the EMCA and Providence University are combining to perform Handel’s Messiah on Saturday, April 6, at 7:30 pm, at Grace Mennonite Church in Steinbach. Soloists for the performance are Jessica KosWhicher – Soprano, Laurelle Czaplinski – Alto, Justin Odwak – Tenor, David Klassen - Baritone. Conducted by Dr. David Sawatzky. Tickets are $15 for adults and $10 for students available from SAC. FUSION - Musical Theatre! For ages 5 - 12 years, instructed by Gabi Gallo. Southeast Centre for Music – New guitar teacher! Welcome to our new guitar instructor, Brandon Post. We are excited to Kids and Parents – Paint Par- have him on board. And Peter Jo ties at the SAC has openings for violin lessons. Canvas & Colas is a creative Contact David Klassen at scm@ event for children and adults to steinbachartscouncil.ca. join in on an adventure together! Do some acrylic abstract pouring Spring Workshops - Stained with artist Arlene Enns! Enjoy Glass on Saturday, June 8; Calligfood and a fun new art form! raphy, Resin Art Cheese Boards Next Date: Wednesday, May 1. and more! Limited spaces. Cost $25 for supplies, snacks, and beverage. Upcoming Exhibit – Metamorphosis: Progressive Re-imaginCanvas & Cabernet is back at ing of Young People’s Drawings SAC with Arlene Enns! Opening Ceremony on WednesA new medium, with the biggest day, April 24 at 7 pm. See the inrage in Paint Pouring! Only $35 spiring works from the talented for supplies, appies and beverag- students of Steinbach Christian es. Create your own masterpiece. School, running until Friday,June 7. Exhibit Schedule at Early Bird discounts from Fri- steinbachartscouncil.ca. day, April 5 –Tuesday, April 30. Get your spot, check our Calling all Musicians for KR website now! Concerts in the Park - LookRight around the corner….Sum- ing for singers, instrumentalists, mer Arts Day Camps – 10% off. groups and performers to perArts4tots Preschool Program - form in the park during June/July. $50 Off and Backyard Theatre Applications online by Tuesday, Company – 15% Off. April 30. Thanks to our Sponsor Barkman Concrete. Backyard Theatre Company’s Final Showcase – Wednesday, Kreative Kids provides finanApril 17 at the SRSS. Don’t miss cial assistance - Check out our out on an evening of local theatre new Kreative Kidz Sponsorship talent from The Backyard The- Program, sponsored by Ledingatre Company. Tickets available ham GM. Call us for details. 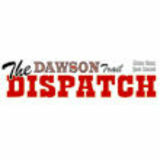 Southeast Manitoba news and features.